This program is designed to recognize single dealerships/rooftops only. 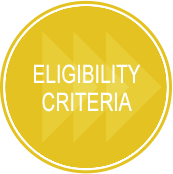 This program is not designed to recognize dealership groups or families; however, individual dealerships within groups or families are welcome to apply. Must have at least 25 employees* working in Canada. * Only full and part-time permanent employees are eligible. Temporary or seasonal employees, per diem, independent contractors (1099), interns or consultants are not counted as full or part-time permanent employees or included in the survey process.